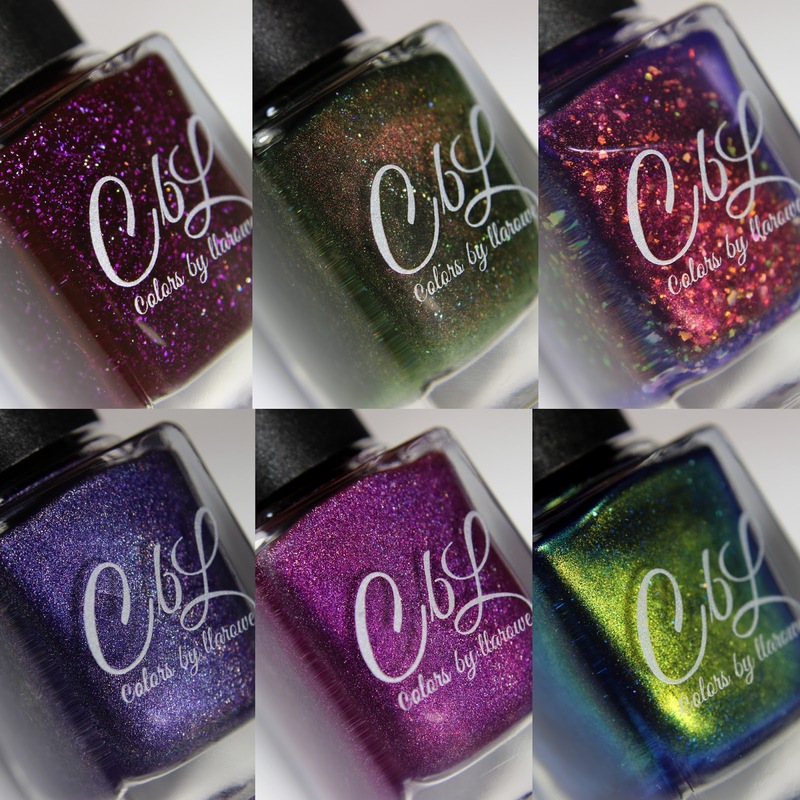 Live.Love.Polish just launched their store exclusive New Years trio with Cirque Colors. The three colors are perfect alone, or can be combined together in a manicure. Live.Love.Polish recently launched a new collection of linear holographics, in 6 classic colors. They have a sort of jelly-like base, but almost all of them covered in 2 coats on me. I heard so many good things about the Dream Cremes collection by Heroine, so I was really excited to try them out. 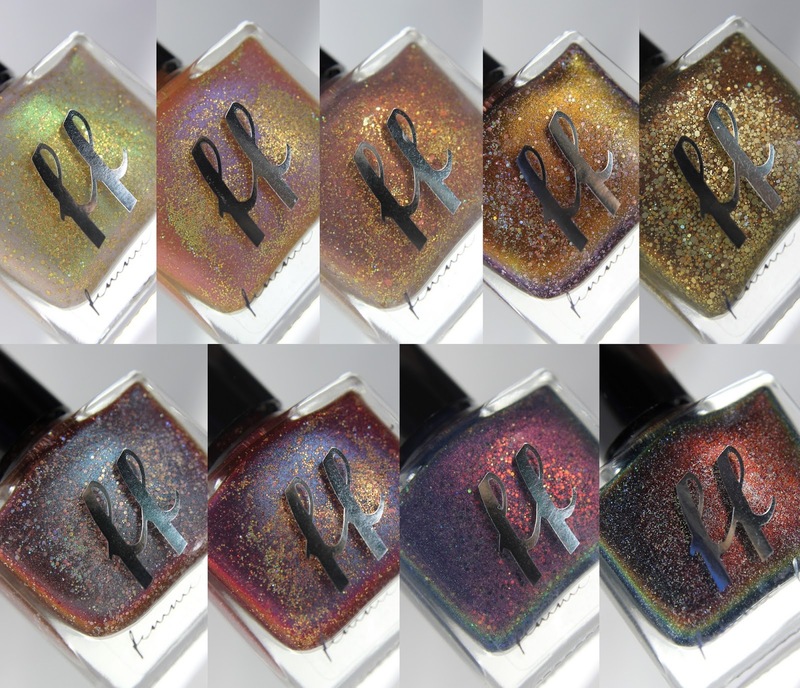 Delush Polish is here with another Game of Thrones inspired collection, this time we got 7 new shades, and one of them is a thermal. Femme Fatale Cosmetics is back with another stunning collection. This time the inspiration was the cult classic Labyrinth movie of ’86 by Jim Henson & George Lucas. "This collection has a primarily warm palette that we have offset with a select few darker tones – though these too have a vibrant, fiery finish which overall leans the collection to a complimentary set. Our visual influences are directly from the Labyrinth movie, particularly the extensive views of the maze itself and the almost foreboding feel that the orange and amber hues give – a look of dustiness, dryness and a hard path ahead. All the shades are scattered through with holographic glitters and/or accents; which is another interesting aspect to the film – Jareth’s (Bowie) first entry through the window in a gust of dark glitter and shimmer through to the reflects on the rock walls through the maze. We’ve picked up on the finer details and I hope we’ve translated the brilliant, surreal landscape and story told by Henson and Lucas." 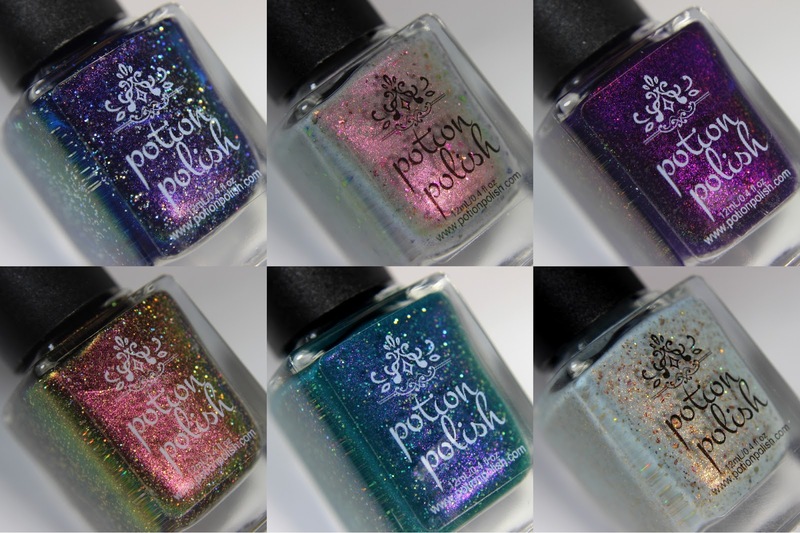 Potion Polish seems to never disappoint me, they have 4 new, gorgeous shades with a buttery formula. A-England released a new collection, there's 8 new shades to choose from. The Tudoresque collection is inspired by King Henry VIII and his 6 wives, 16th century portraits with their rich fabric, tapestries and jewels. You can find my blog post about the Winter 2017 collection HERE. 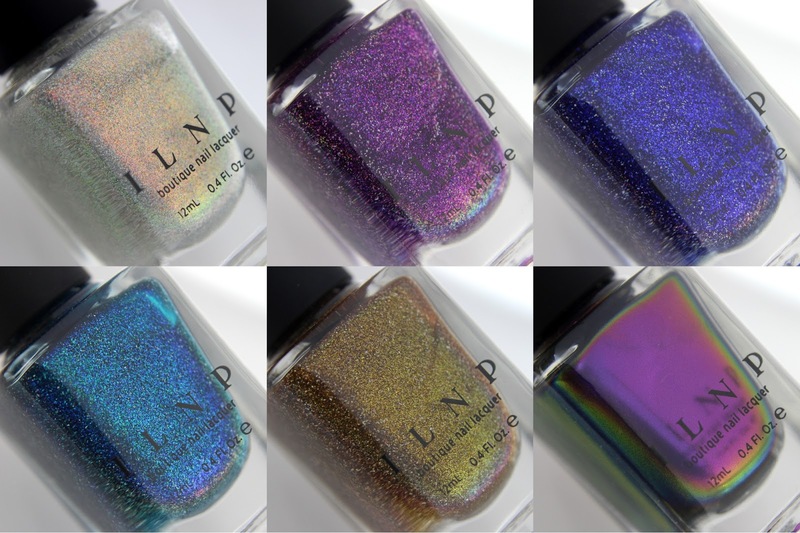 New ILNP collections ahead, they will be available for preorder from tomorrow! There's 2 collections with 12 new shades altogether. I made some comparison pictures as well. Of course I don't own every ILNP shades, so they might not the best comparisons, but if I could find similar ones or if I though they can be a good starting point for the colors I made a picture of them. You can find my blog post about the Holiday 2017 collection HERE. Maria from SoNailicious is so full of amazing ideas and goals, she just launched her own nail art brushes. She was kind enough to send me the whole line, so I can review them. There's 2 years of work behind these products, and you can clearly tell, they are high quality! My package arrived just 2 days before the launch and I didn't had free time, but I couldn't help myself to try out at least one of the brushes, which I shared it my on Instagram so I can promote the launch (there was a special offer for 2 days, which is not available anymore). In the weekend I had more time, so I tried out all of them. 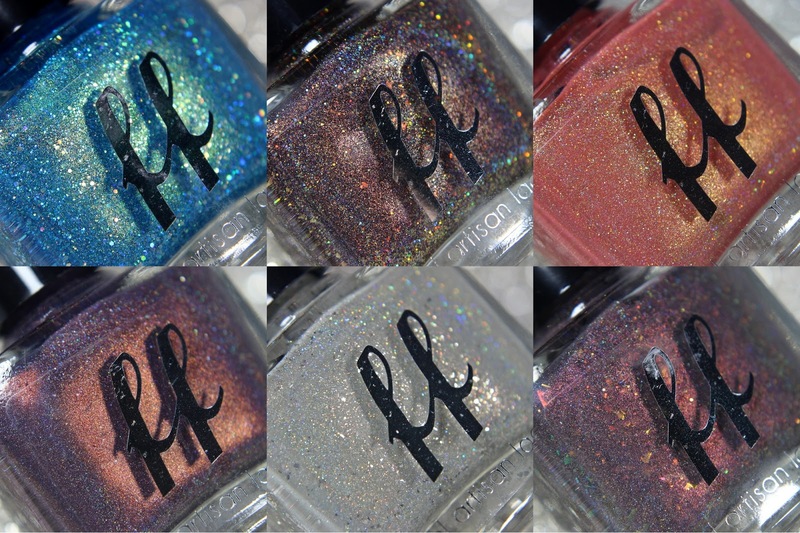 Emily de Molly November release is all about that holo! 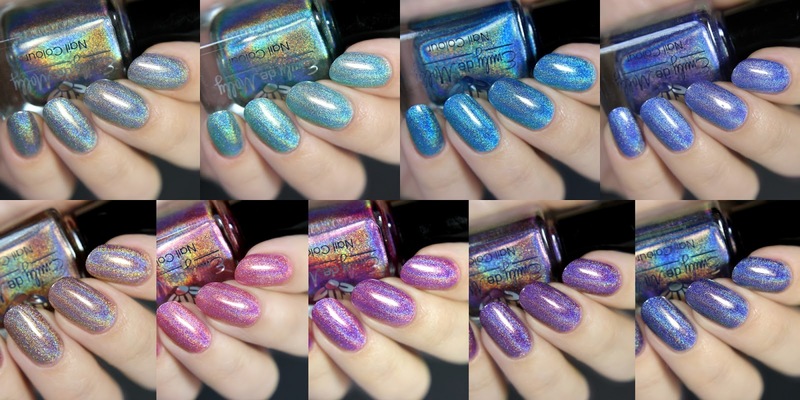 There's 9 new colors in this launch, all of them are strong holos. Hayley have videos on her Insta showing the holo effect in natural sunlight, go and check them out! I used 2 coats of each, I really liked the formula! 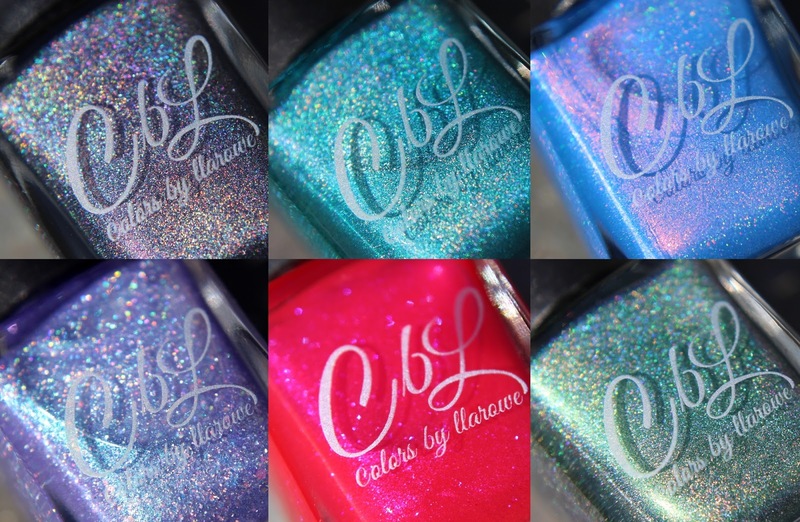 Cirque Colors has 6 new addition to their New York inspired Metropolis line, that has creme polishes only. This Fall/Winter we got some really pretty and iconic shades. This 6 shades represent Fall so much, they can be combined together perfectly. I have some Bow Polish and Dance Legend swatches. I like both of these brands, and it's good to know that they are available at Color4Nails too. Live.Love.Polish has launched their own nail polish and nail care line, you probably all know that by now. They provided the whole line for me for review, and I can finally show you everything. There are 11 creme finish nail polishes, a glitter topper, a quick dry topcoat, a matte topcoat, a strenghtening basecoat, a ridge filler and a nail file in their line. Let me tell you a quick secret: they turned out to be excellent! 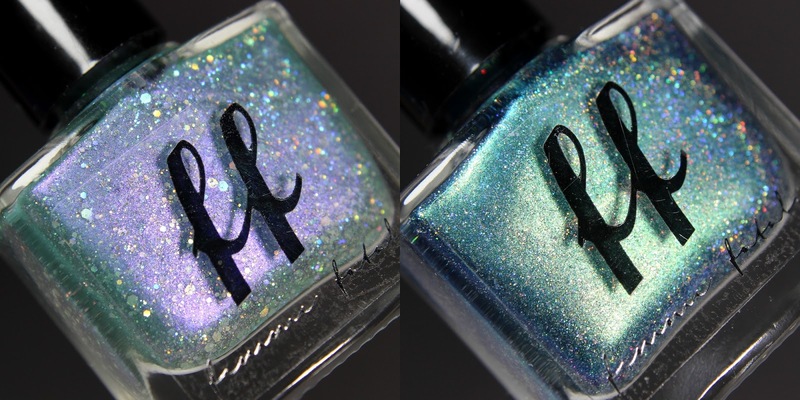 There's three new Femme Fatale store exclusives at Beauty So Fly, they are launching tomorrow! The Colors by Llarowe Winter 2017 collection is launching tomorrow and I'm here to show you my swatches. This collection is so stunning, the colors and the quality is just the best! There's two new Femme Fatale store exclusives at Nailland, that's what I'm going to show you today. There's 8 new shades in the Emily de Molly October release and they come in a wide variety of finishes, and one of them was a huge surprise. I really like most of the colors. 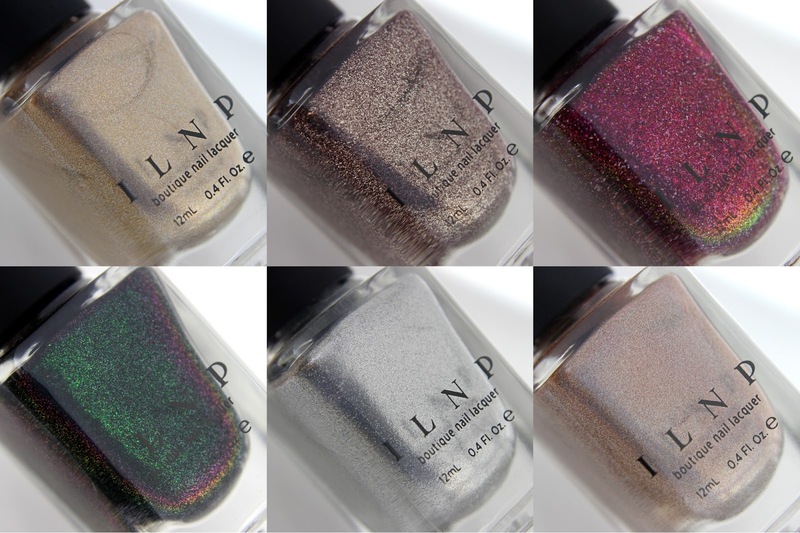 You probably all know that live.love.polish has launched their own nail polish line. Their debut collection was cremes only (well, except one), which I will show you all next week, but I just had to show the trio they were dedicated to the fight against breast cancer. They are currently available, but low on stock, so hurry before they're gone. 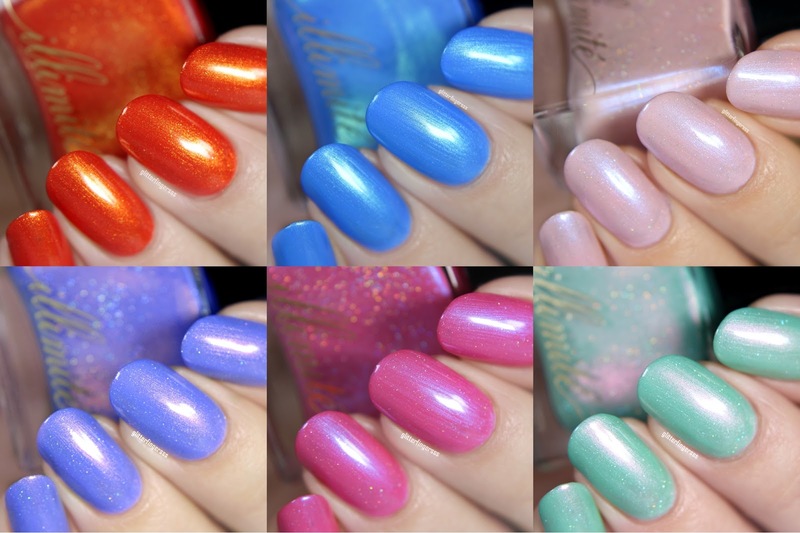 Emily de Molly just created the most opal looking polishes ever! Sadly they are limited edition and only available through live.love.polish. Oh, and there's some shimmers too, but OMG look at those flakies!!!! Stranger Things inspired trio for Halloween?!? Say no more! The NCLA Fall collection is harmony itself, these 5 colours match together so perfectly! I'm not really into the feminine color scheme, but damn, these 5 just made me drool. And the best part is that the quality turned out to be really great, all cremes cover in 2 coats! I have a couple of Femme Fatale shades to show you today. There's the Anniversary Trio to celebrate their past 6 years in the business, and there's 2 Girly Bits collab shades. 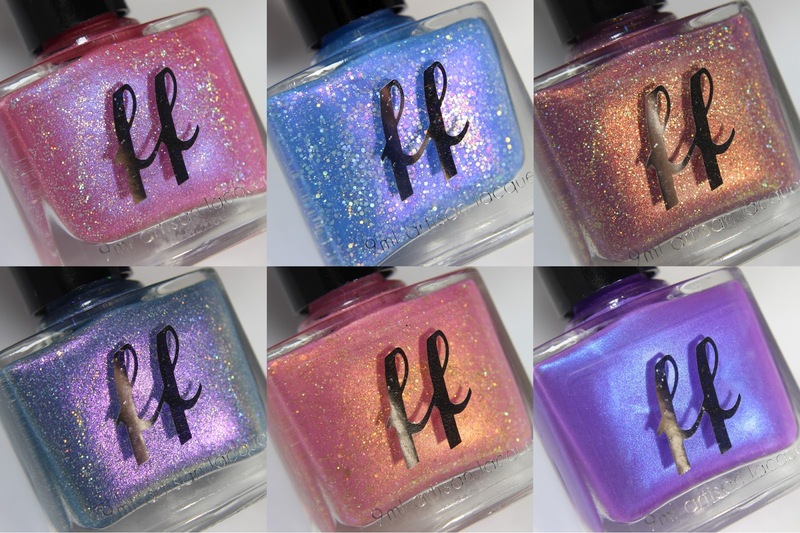 All of these nail polishes are limited edition, and are available for one presale only at the FF website, but usually they will launch at their stockists as well, so keep an eye out! Let's see the Anniversary Trio first! Cadillacquer | Why Do We Fall? I have swatches of the upcoming Cadillacquer Fall collection, which releasing this Monday, along with a collaboration shade. I have the Glare On The Water magnetic nail polish collection by Masura to show you. They are limited edition! Potion Polish became one of my very favourite brands, their colors are exciting and the formulation is always on point, so I highly recommend them. Their Fall collection is called Apothecary, and there's 5 shades in the collection. The September POTM launched the same day, so that's why you can see 6 polishes in the picture above. I finally have swatches of the illimité Impressionism collection, which is the second collection from the brand. The polishes were inspired by impressionism and Paris. 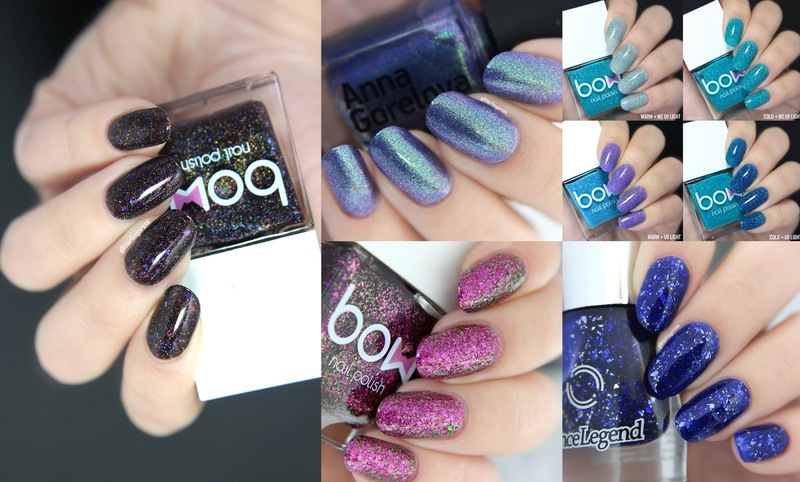 It's a fun and colorful collection with shimmer polishes, and of course with some holo. 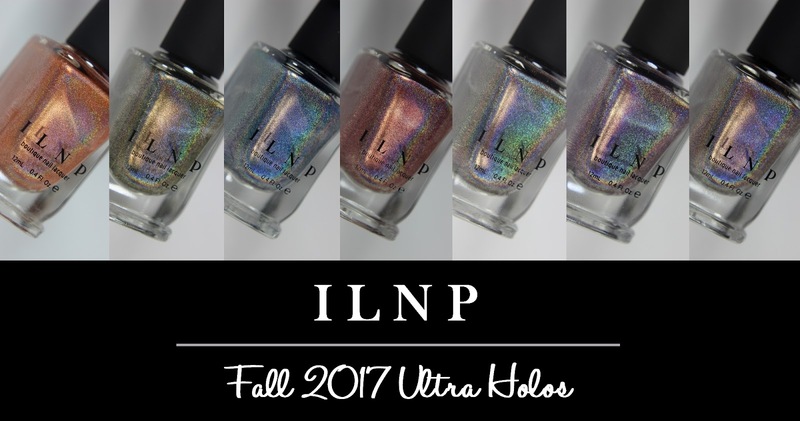 ILNP is coming out with 2 collections for this Fall, one that has linear holos and one with various finishes, plus there's 2 additional colours to the Real Magic topper collection, so there are 15 polishes in total. 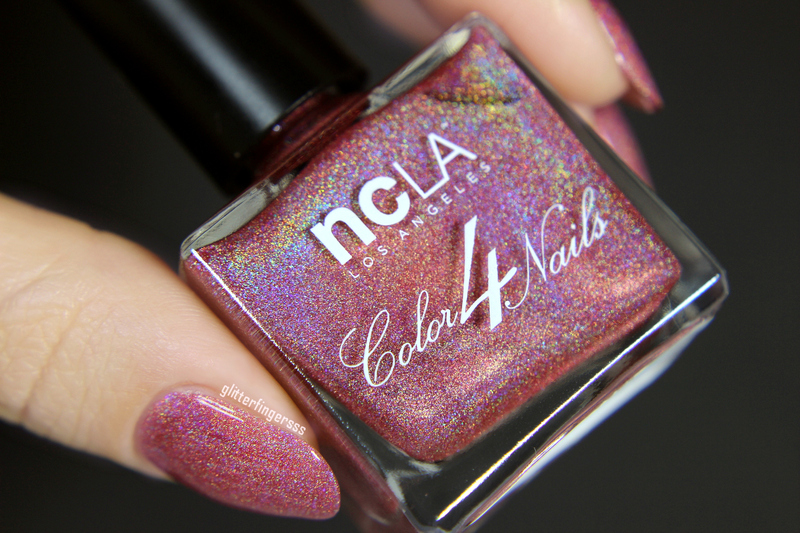 Sunstruck is another NCLA x Color4Nails collaboration shade, it will launch in a couple of days. Here we are, with another gorgeous Illyrian Polish collection. I seriously don't know how can Vanessa create such stunning and unique shades every time she releases a set. I'm in love! The August Potion Of The Month is a gorgeous pastel lavender purple/blue color with gold-peach-red shimmer, pink-red-orange UCC flakies and some holo dust scattered through it. Today I have swatches of the surprise topper collection by ILNP. They are irredescent shimmer flakies in clear base. I had some real fun with them, I tried them out layered with other polishes, and I hope I can show you how amazing and diverse these polishes can be. Today I have swatches of 6 Lilypad Lacquer shades. Sadly this blog post was published too late, some of the shades are not available at the moment, I'm so sorry about that! Hopefully there's gonna be a restock. 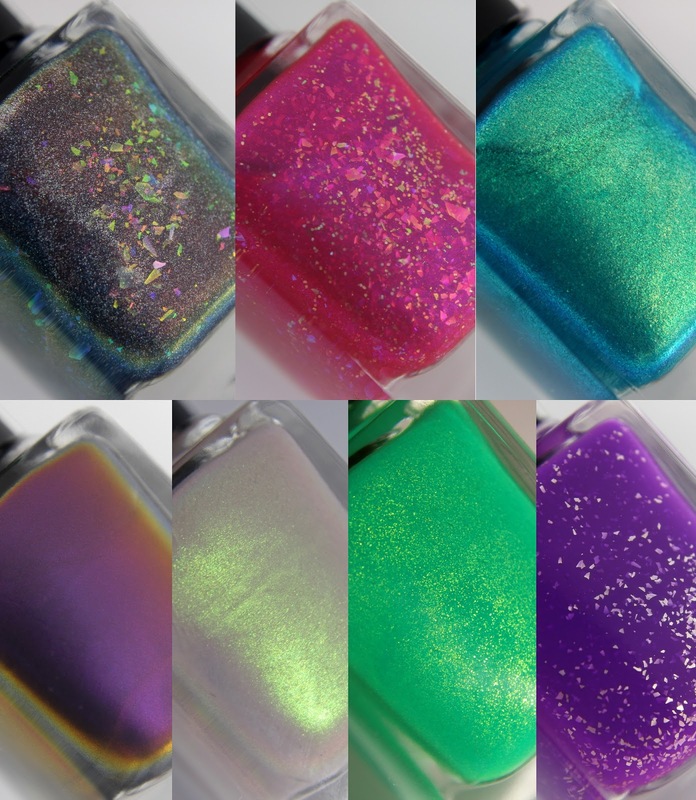 Today's post is going to be a really exciting one, for two reasons: I can welcome a new brand on my blog, and first time in my life I swatched glow in the dark polishes! I have swatches of the new, August 2017 release from australian indie brand Emily de Molly. The collection doesn't have a name, but to me, most of them are super summery! Yesterday I showed you my own collaboration trio, and today I will show you the other two blogger's trio. I like both sets very much, Laetitia and Sam created true beauties! About 6 months ago I got an email from Sophie, the owner of Femme Fatale Cosmetics and I was asked to create a collaboration trio with them. It was the best day ever! I accepted the offer immediately, becasue Femme Fatale is one of my fave brands, and I knew we could work together realy well. 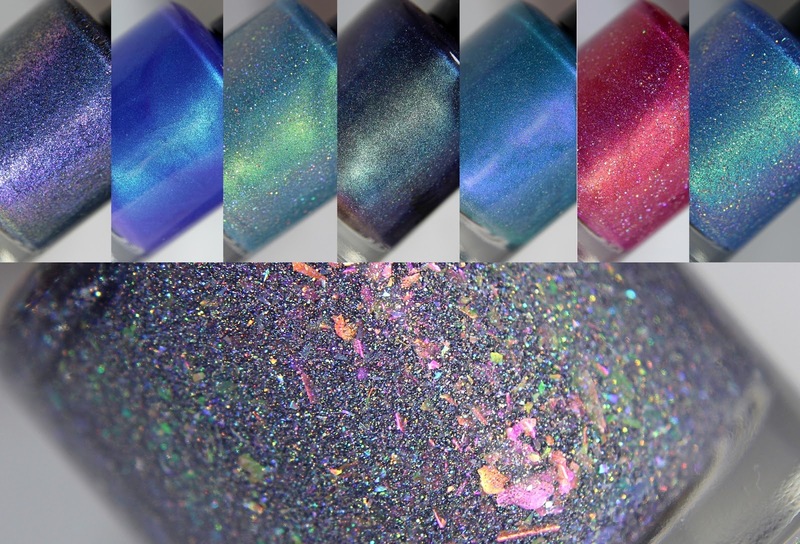 Potion Polish has a new POTM, this time for July of course, and it's called Afterglow. 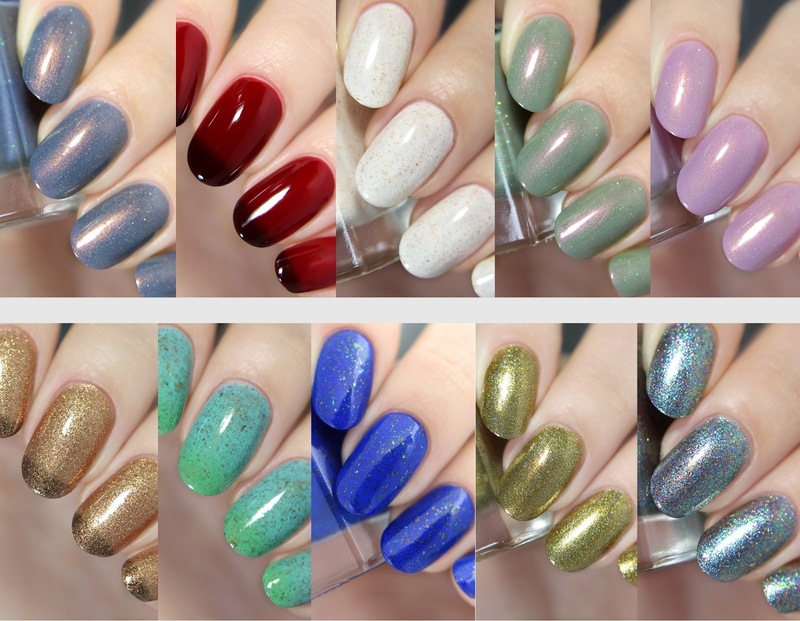 The new Colors by Llarowe collection offers 6 gorgeous polishes in various finishes. Today I have swatches of Illyrian Polish Summer Nights Volume 2 trio and some of the shades from the Spellbind collection. Let's start with the Summer Nights 2 trio. Today I will show you swatches of the Femme Fatale Cosmetics Opalescent collection, which is out for a while, and finally I had time to show them to you. There's 5 shades in this release, all of them have an ethereal, opalescent look to them. They were quite hard to photograph, they look a lot better in person. 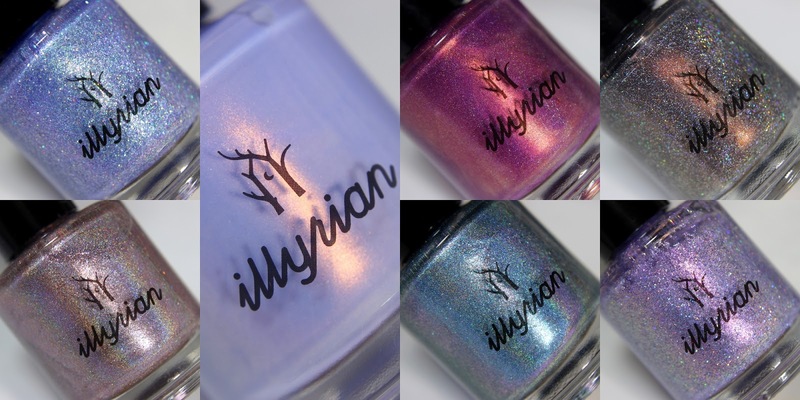 Today I will show you swatches of the Illyrian Polish Summer 2017 collection, and the June COTM Moonbow. As usual, I'm speachless of all of these beautiful polishes. Vanessa, you did it again! 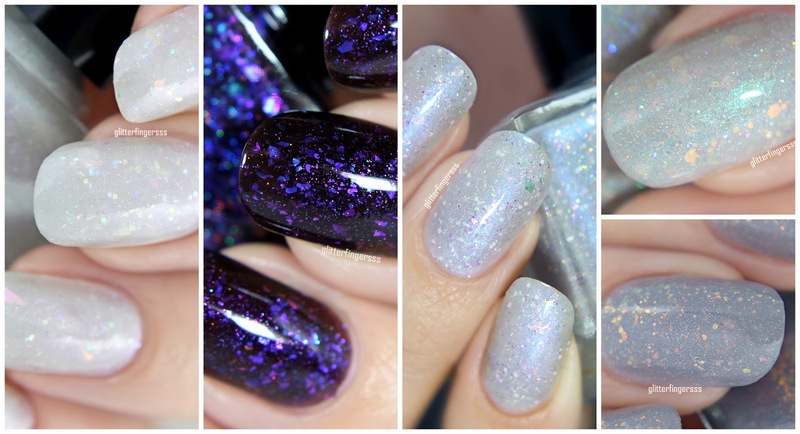 Today I'm gonna show you 4 nail polishes from Femme Fatale Cosmetics. Two of them were Aussie Indie Con exclusives, and two are from a collaboration with Emily de Molly. All 4 shades are limited edition, and are only available as a one time presale that is currently on and will last for July 5th (I think...so in case...hurry!). This years Delush Polish Summer collection has everything you want to battle the hot weather: neon, thermal and glitter crelly/jelly.